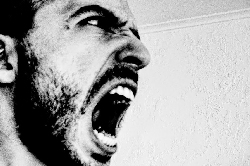 CULTIVATING A CULTURE OF FEAR AND ANGER « THE BRYCE IS RIGHT! – The tactics of the left. It is not much of a secret American liberals are not proponents of Capitalism; they do not see it as fair and, instead, there should be a redistribution of the wealth, from the rich to the poor. It is also not much of a secret they abhor American exceptionalism; that we owe certain minorities of our country and the world an apology for our sense of Manifest Destiny. They also seem bent on eliminating God from our culture, steadfastly banning it from schools, government institutions, removing the Bible wherever possible, and censoring the clergy (see Houston). It is also no secret liberals want to replace the U.S. Constitution with something more modern and less restrictive in terms of rights. And finally, the latest twist is to undermine our jurisprudence system in order to allow thuggery to flourish and undermine the safety of the public. By doing so, they wish to radically change the American way of life and make it more dependent on government. To get their way, the left’s tactics are simple: create a culture of fear and anger in the populace by falsifying facts, spreading innuendo, and establishing false perceptions in the minds of the public. For example, global warming was presented as a legitimate problem, but has since been debunked. The alleged “War on Women” was designed to raise the ire of female voters; this is simply not true but many people fell for it. Also vilified is energy, the rich, big business, and the CIA. Even our history is being challenged and distorted to suit the liberal agenda through such college text books as Howard Zinn’s, “A People’s History of the United States.” It is also becoming more common for college professors to undermine American values, such as asking students to recite an anti-American pledge of allegiance. The question thereby becomes, are the people being maligned truly perfect, both those in the past and the present? Of course not, as humans we make mistakes but we must persevere and move forward. Yes, some of our mistakes are embarrassing but we should learn from them. In hindsight, would we have done things differently if we were in their shoes? As someone who studies history, there are many events from yesteryear we are not fit to judge, such as Columbus’ landing on the continent, the American Revolution, Stephen Austin’s colonization of Texas, President Polk’s war with Mexico, Harry Truman’s decision to drop the Atomic bomb on Japan, to mention but a few. These people considered all of the variables of the day, made what they considered to be the best decision, and put their best foot forward. This country would likely not be here if we tried to consider every trifling variable before making a decision. Time would not permit it. Now we are engaged in a racial debate resulting from the death of Michael Brown in Ferguson, Missouri, and Eric Garner in New York. In both incidents, there was nothing to indicate racism had anything to do with their deaths. Yet, the media, the President and others are using this to fan the flames of racism and create a “War on Whites.” White Americans are being asked again to be ashamed of the color of their skin and made to feel guilty for the slavery of the 18th and 19th centuries. There has even been rumblings to ban Irving Berlin’s classic holiday song, “White Christmas,” from the airwaves as it may be construed as racist. Nuts. Why has this suddenly emerged at the forefront of the news? Let us not forget the President lost badly in the mid-term elections; thereby refuting his policies. He now desperately needs something to rally his base and make him relevant again. What better than racism? Despite the Grand Jury decisions, the President has instructed his Attorney General to pursue investigations for the violation of Civil Rights. In other words, he does not accept the Grand Jury system. The real victim here is the disregard for law and order. The President and Mayor de Blasio of New York would have us believe the police regularly practice racist tactics and are not to be trusted. In reality, the money earmarked for retraining the police would be more wisely spent helping to promote the family unit and moral values of the black community. Instead of promoting racism, the President should be promoting family values and respect for the laws he is sworn to uphold. Reason no longer has a bearing in today’s world, the truth must be sacrificed. No lie is considered too big or too small to alter the perceptions of the people. Even political correctness is intended to train the populace accordingly. However, the culture of fear and anger cultivated by the left is dangerous. Now, through social media, protesters and rioters are better organized and can communicate more effectively. It also provides the means to trigger a revolt on no less a scale as the Arab Spring of 2012. This would make the 1965 riots of Watts seem miniscule by comparison, as with other protests of the late 1960’s. And with law enforcement falsely maligned as the bad guys, the attacks against them will be vicious. So, here we reside in a land of lies, a country consisting of willing pawns who no longer trust the rule of law, the rights of others, and respect for authority. The reason for this culture of fear and anger is simple; divide and conquer. The intent is to create doubt and make us feel ashamed of ourselves and our country. At the very least, new allegiances are being formed as well as a new sense of right and wrong. It is also an ideal formula for anarchy. LAST TIME: MOVING FROM THEORY Y TO THEORY X – Transforming a company from empowerment to dictatorship. This entry was posted on January 9, 2015 at 6:00 am	and is filed under Politics. Tagged: CULTIVATING A CULTURE OF FEAR AND ANGER, Florida, palm harbor, The Bryce is Right, tim bryce. You can follow any responses to this entry through the RSS 2.0 feed. You can leave a response, or trackback from your own site. Our polar polar division oh left and right is primitive but even this primitive system will not function if one banish either pole.